Well, books one and two have had me riveted, glued to the page, and I was desperate to read how things work out for Mattie and Asa. They’ve both been through so much, and in this book we learn even more shocking things about Asa’s background. Its a fabulous world, feels so real, so scary and its easy to believe that if magic was real ( ? it may well be…!) but hidden from most of the population as here, that these events could/would happen. We know how power hungry people will do anything to get to the top, to hold the most power, strongest position, and its scary just how it brings innocent people into such danger along the way, how “choices” are forced on those who the top people need. Mattie has become entangled in this world firstly through rescuing her ex fiancé Ben, and then discovering she had her own magical attributes, inherited from her grandfather. It makes her wanted by some dangerous people. She’s teamed up with Asa and they’ve been working together as colleagues, keeping things professional at her request. She thinks she can guard her emotions from Asa, he’s so troubled, so affected by his past that his demons mean he’s dangerous to her heart, he’s already made it clear he and Gracie, his dog, are the only duo in his life. Mattie can’t help falling in love though, its obvious from way back, and it feels too as if Asa is in love with her, he’s so careful, so responsible for her, and goes out of his way to do little things that make her happy. They’re on another mission when things go wrong and they get parted….Mattie won’t give up though, knows she has to rescue Asa, that he can’t survive being some ones property. He’s always stayed out of the top players clutches, working only for himself, not wanting to be caught in the trap, cage, control they will keep him in. Its been a hard job keeping out of their clutches. Mattie does her best to help him now, but she’s not sure where he is, who has him, who she can get to help. Its tough to know who she can even minimally trust though, no-one is what they say, so many people are double agents, others have hidden agendas, and she’s so new to all this. She gets an unexpected ally and its a race against time, full of illusions glamours, dangers and trickery all through the story. 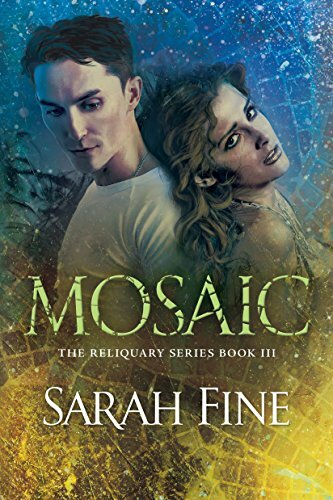 I really enjoyed it BUT I’d made the mistake when I began thins of thinking it was a romance – and its not, there’s romance in it, but is not an actual romance read. My bad! That led to me HATING the ending, I was gutted, distraught. I really wished I’d not read the last chapter, just stopped at the one before and assumed that was the end. Like I said this book is so very real, and I need that air of genuineness for me to enjoy a read but I wanted a different ending, found this one really upsetting. real life is very like this, its not neat and tidy with everyone getting what they want, but when I’m reading that’s not necessarily what I want 😦 even if its very true to life. To be honest I’m really hoping Sarah has a rethink and writes another book, its been left open so that is possible, as I think very many people are going to feel similar to me about that ending. Stars: Five, even hating that ending its still a fabulous read, a story that’s gripping and gut wrenchingly real, even though its full of magic and fantasy!